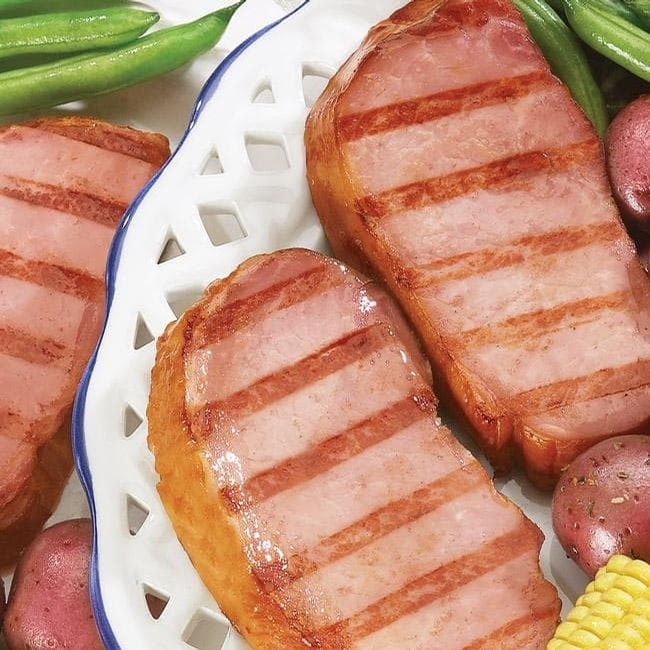 Lean and tender, these fully cooked Boneless Pork Chops have the same delicious Corn Cob Smoked flavor as our famous hams. The smokehouse taste permeates the entire chop for consistently great flavor, first bite to last. Great for the grill, or a quick supper, they are a customer favorite. They come in handy packs of two chops, and freeze well, so you'll want to stock up. Boneless Pork Chops, 1 1/2 lbs. Boneless Pork Chops, 3 lbs.